This cultivar is the result of a cross between H. 'Gold Cup' × H. 'Golden Waffles' and it was registered by Paul Aden of New York in 1978. The large size mound grows to about 21 inches in height with a spread of 45 inches. The bright gold foliage is deeply cupped and has thick substance. It bears near-white flowers starting in mid-July. According to The Hostapedia by Mark Zilis (2009), "Its only negative is a slow growth rate." 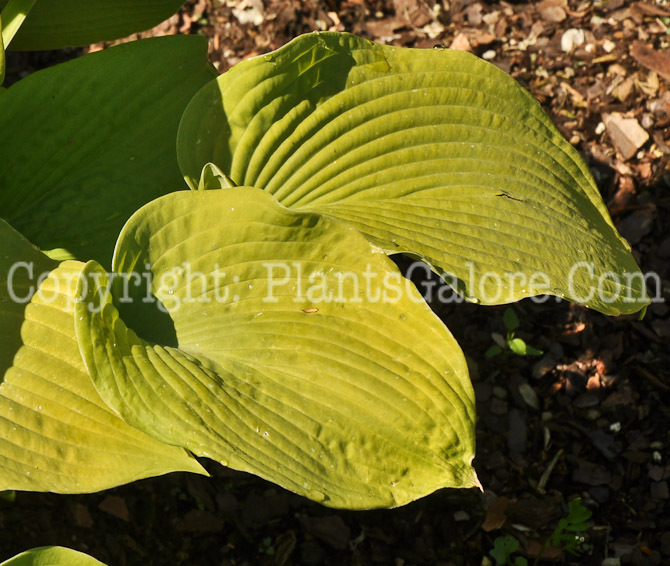 The New Encyclopedia of Hostas by Diana Grenfell (2009) states: "Leaves will always have a green undertone, especially the midrib and veins, if grown in full shade, but will assume a brassy, metallic hue if exposed to strong sunlight for long periods. Slow to establish but has never been bettered."